Debbie has read in the history pages that “by 1871 Kings Norton had a Nursery Garden owned by Mr Henry Pope”. She is currently researching her family history and believes that Henry was a son of Thomas Pope who was in turn the eldest son of Luke Pope (born 1740). She is looking for information on the nursery, when it was established, its location etc. She thinks that the Pope family had several established nurseries in the Smethwick / Handsworth / Cotteridge area and is trying to establish if Henry set the nursery up himself or if in fact it was in Cotteridge before this and his father Thomas established it. John is looking for information on the Grant Arms pub, when was it built, who lived there, etc – he’s trying to research for family who live there now. Caroline’s grandmother is looking for some old friends of hers called Edwards (or similar), who owned a business maybe on Pershore Road, which she thinks sold a variety of goods quite similar to Woolworths. They lost touch in the 1940s. Ro is trying to get in contact with a family who lived at 106 Frances Road in the 1920s until about 1938. Timothy and Eliza Gregory may have moved to Cotteridge from Telford, Shropshire, possibly to work on the railway. Their family included Matlida, Alice, Elizabeth, James or Jane or Jame, John, Martha and Timothy George, all of whom would be over 80 by now. Contact us or leave a comment below if you have any clues. 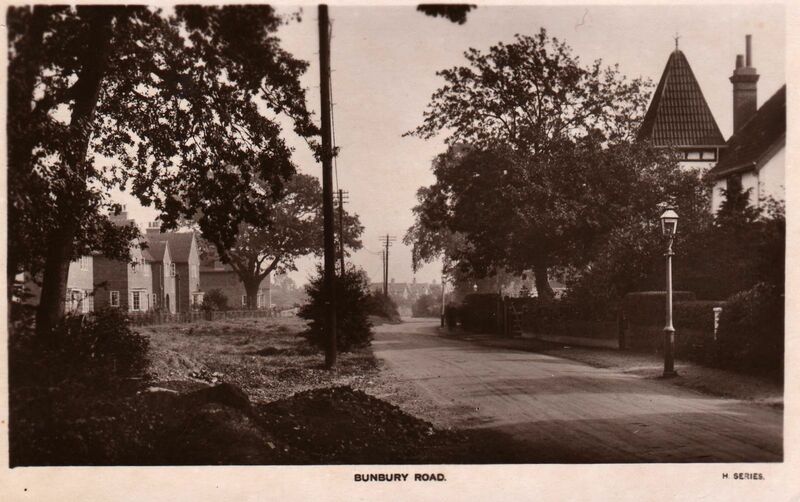 Bob lives in the village of Bunbury, Cheshire, and wants to know if this old photo of “Bunbury Road” is the one between Cotteridge and Northfield. If anyone can give him any idea of when and where this might be, please leave a comment below or email us. Paul is looking for any pictures or information about the police station in Cotteridge – can anybody help?